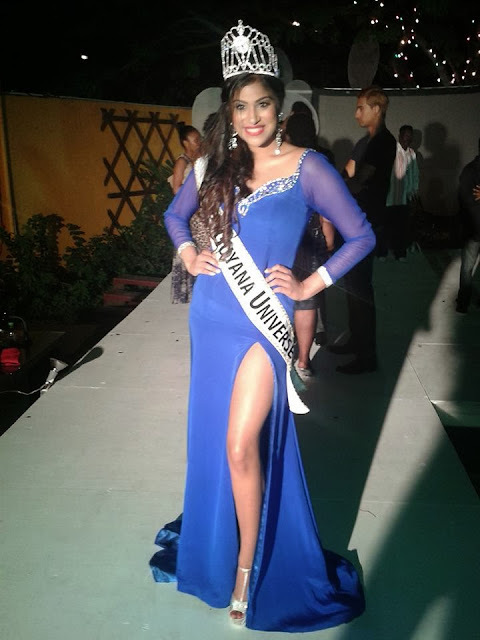 23 year old Katherina Roshana from Georgetown was crowned as the new Miss Guyana Universe 2013 held at the Pegasus Hotel in Georgetown last October 6. The 1st run-up was Alicia Bess, and the 2nd run-up was Ayana Whitehead. Katherina will be the official representative of Guyana in Miss Universe 2013 on November 9 at the Crocus City Hall of Moscow in Russia.